Great service and thanks for the goodies. My wife is happily using our LCD HD TV with her computer and it is fantastic. If I ever need any more cables you know where I'll be coming. 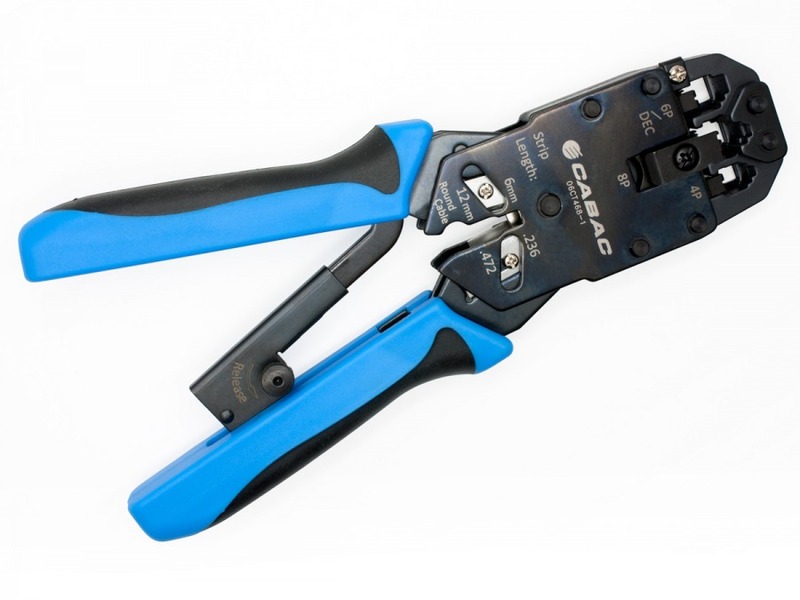 Professional Cabac Crimping Tool for RJ11 RJ12 and RJ45 + FREE SHIPPING! A proven, professional crimper which easily sets the industry standard!!! I'm shining the limelight on this crimper, and in my opinion the "others" will never be able to get out form beneath its shadow! I recently had the experience of needing to use a generic crimper for a small job. When I say generic I mean I couldn't even find a brand name on this product, just the word "Germany" so crudly stamped on to its side that the average German engineer would want to cut their own hands off rather than touch it. Using it was certainly an experience, one that I wouldn't necessarily recommend, unless you like for a job to take twice as long as it should. This Cabac crimper is practically heaven by comparison! It features the usual 4P, 6P and 8P crimps but the dies are precision hardened, the effects of which, along with the parallel crimping action and ergonomic handles, can't really be adequetly described, they can only be felt. Additionally, the built-in ratchet ensures that the crimp has been completed before releasing the tool, ensuring a literally perfect crimp every single time. If data fitouts are what you do everyday or even if you just have one small job to do around the house you won't regret getting this crimper for the job. It will likely be the last crimper you ever need to buy! The items were received the very next day. I am very impressed with the service and the connection/adapter worked perfectly. Good product combined with excellent service. It does not get any better than this.